Lady Gaga’s Born This Way Ball has certainly not been without its headache. The Asian leg of the tour has encountered resistance in nearly every country and finally the pop singer has been forced to cancel one her shows. 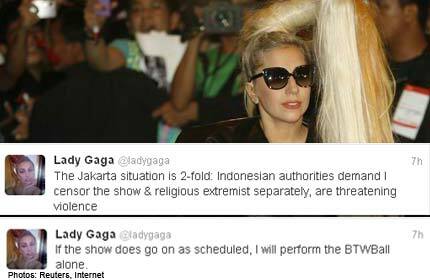 Gaga pulled the plug on a concert scheduled for this weekend in Jakarta, Indonesia due to security concerns, apologizing to her fans via Twitter. What do you think about Lady Gaga canceling her concert in Jakarta? Do you agree with her decision? Tell us your thoughts in the comments.